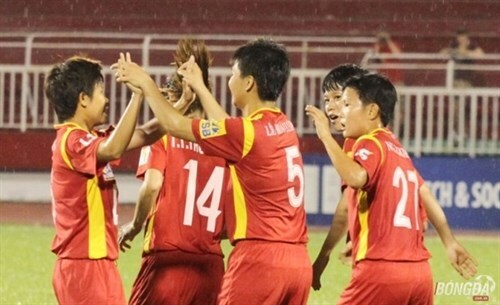 Hanoi (VNA) — The national women’s football squad have jumped one step forward to No. 34 in the world ranking, according to FIFA’s latest release. The team, who hold 1,620 points and have not played any games in the last three months, remain at No. 7 in Asia and in second place in the ASEAN region behind Thailand (world’s No. 30). The world’s top 10 has not changed. The No 1 position still belongs to the United States, followed by Germany, France and England.